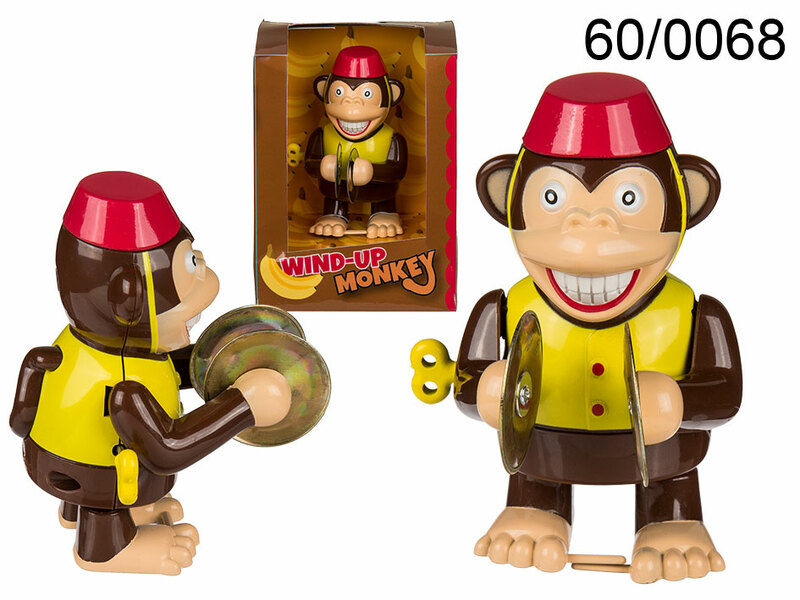 Plastic monkey figuring wearing fez and holding the cymbals. Once wound up, it will walk and clap the cymbals for a certain amount of time depending on the wind up mechanism. Cheerful figurine that will definitely make kids smile.